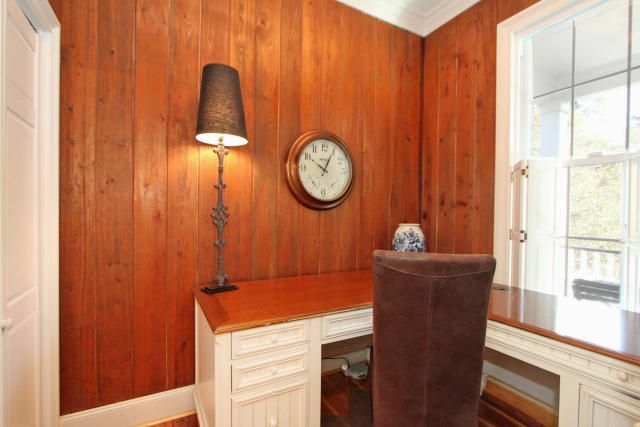 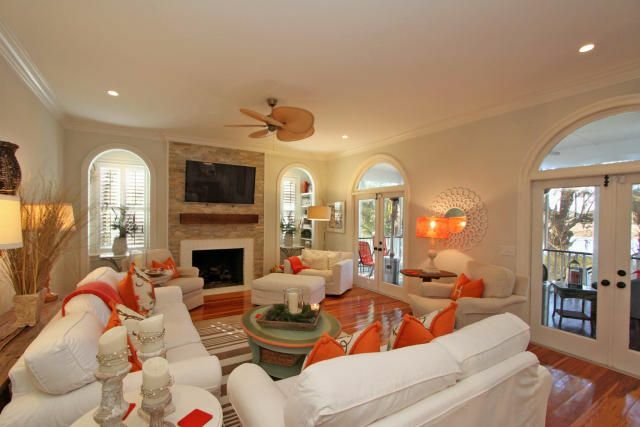 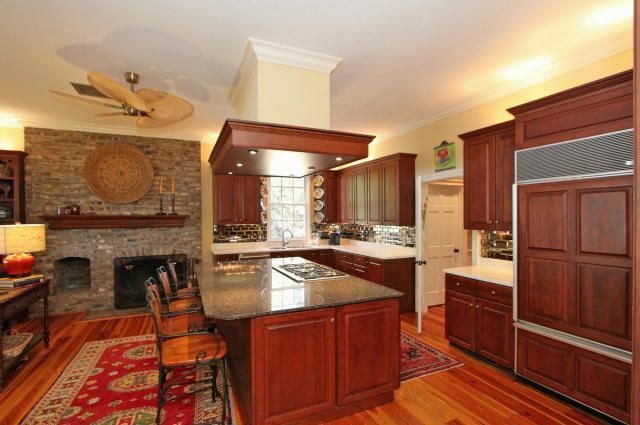 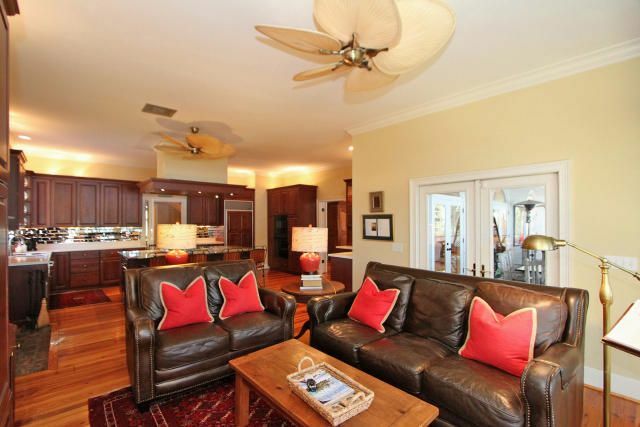 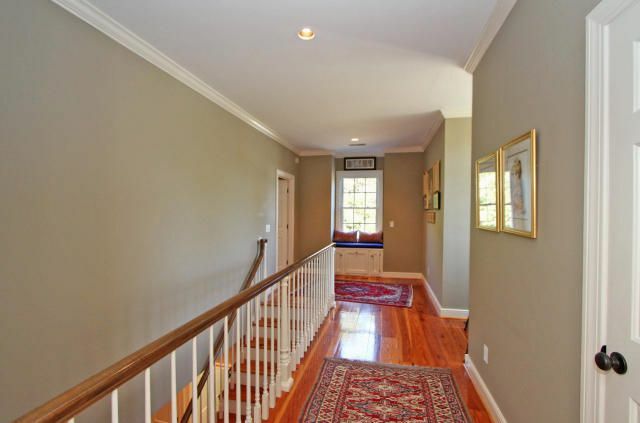 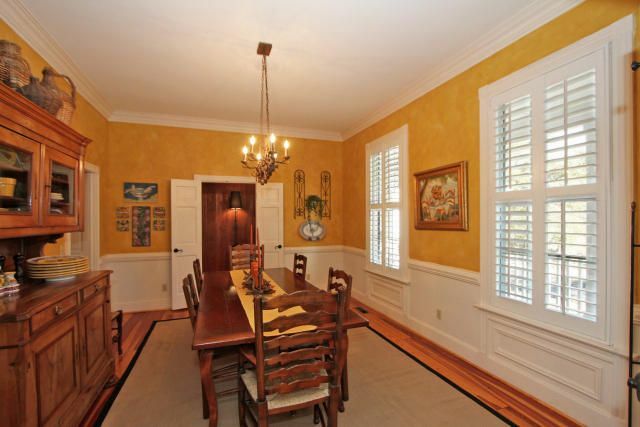 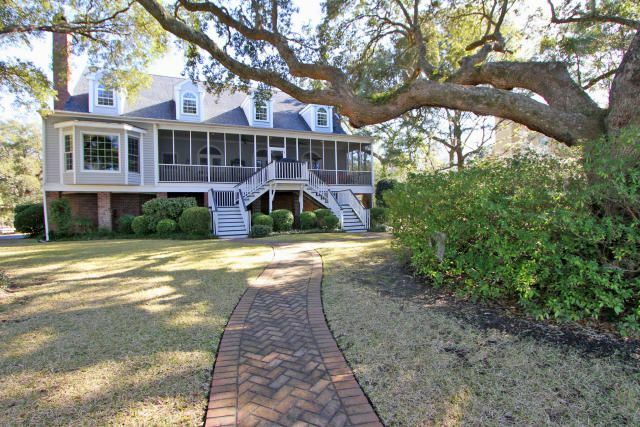 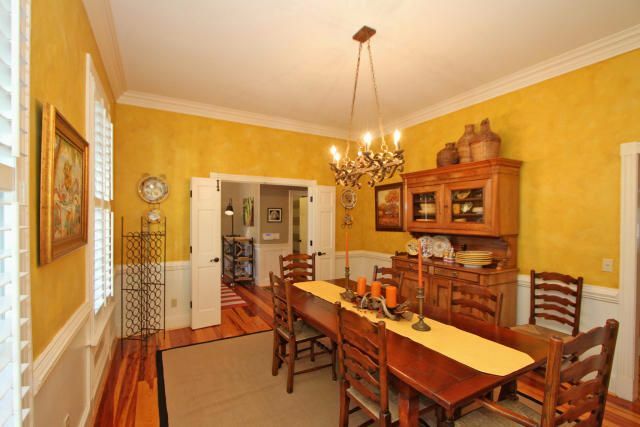 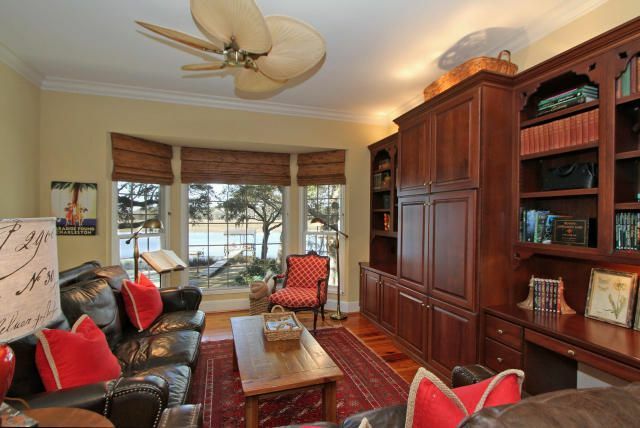 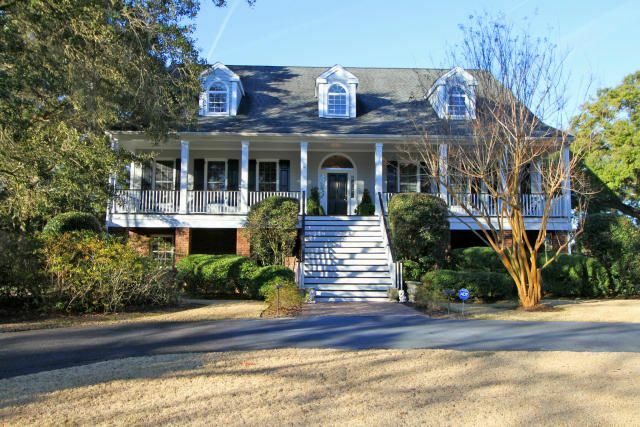 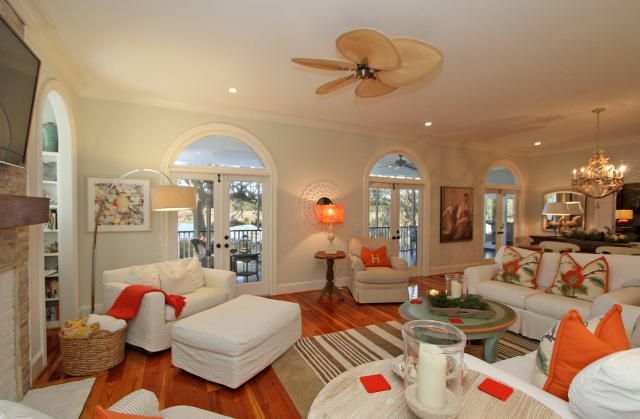 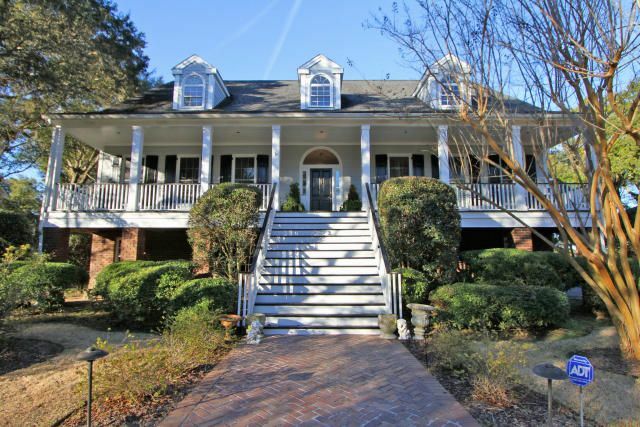 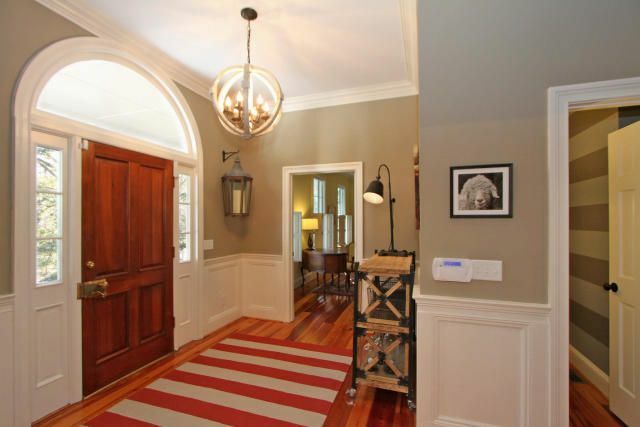 Deepwater estate home nestled on 2+ acres located just minutes to Wando High School, Roper Mt. 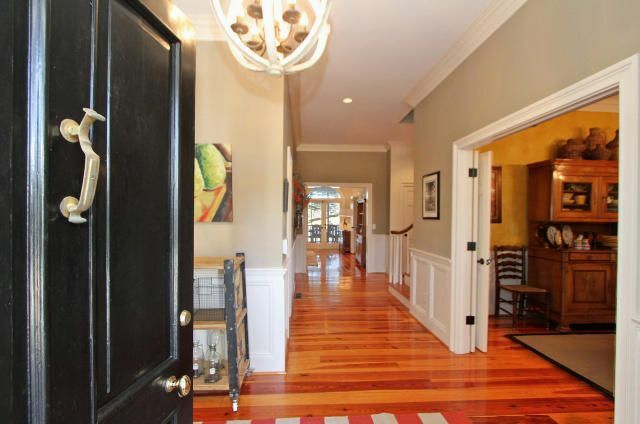 Pleasant Hospital and Towne Center. 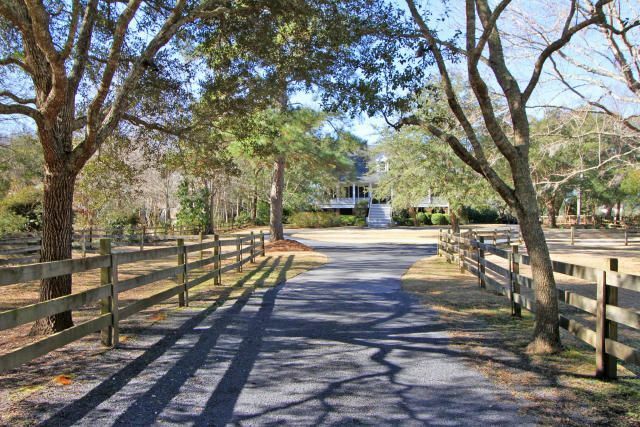 Beautiful live oaks and assorted hardwoods are arranged magnificently on the property. 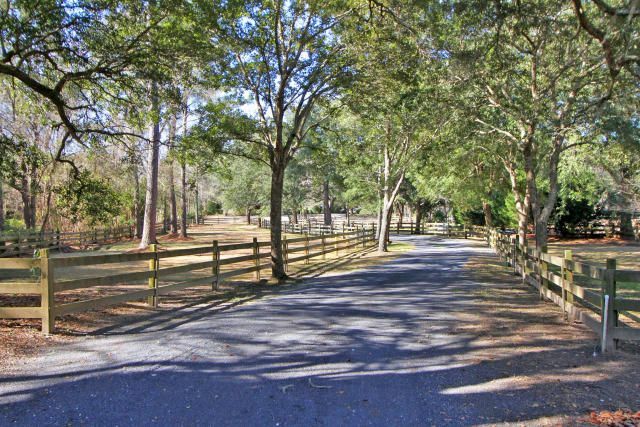 Enjoy the majestic drive leading to the home bordered by post and rail equestrian fencing. 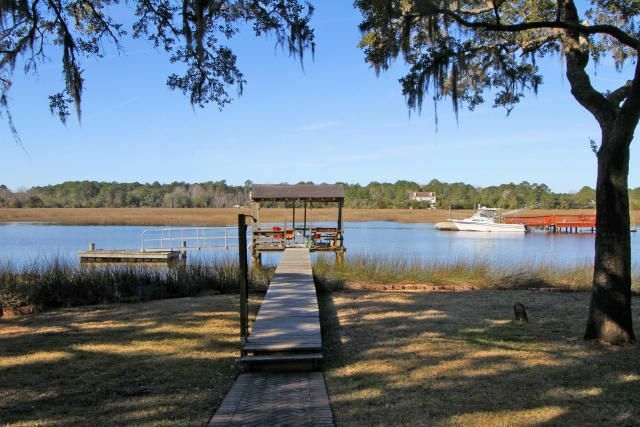 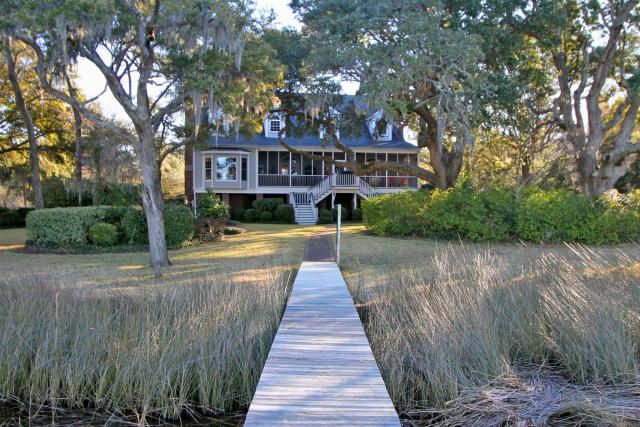 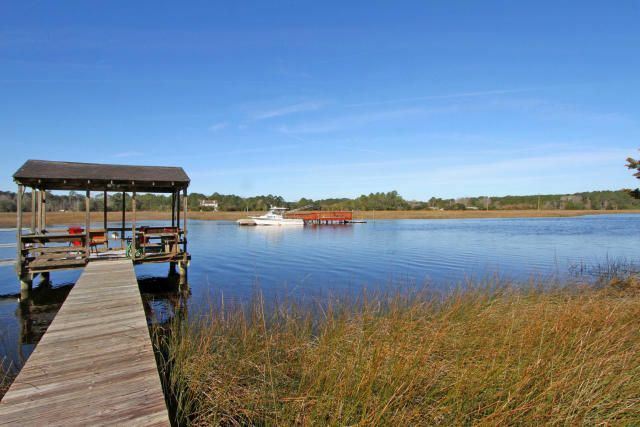 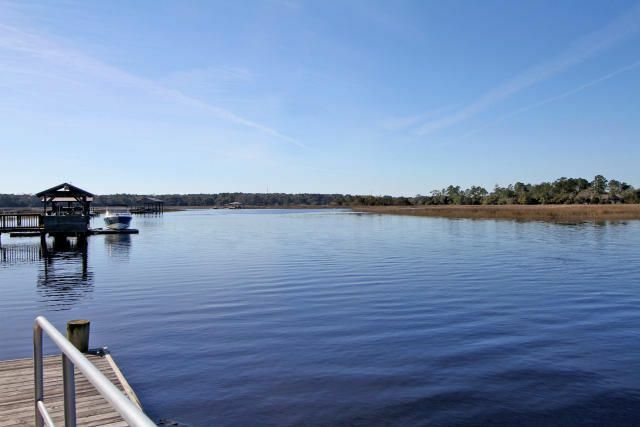 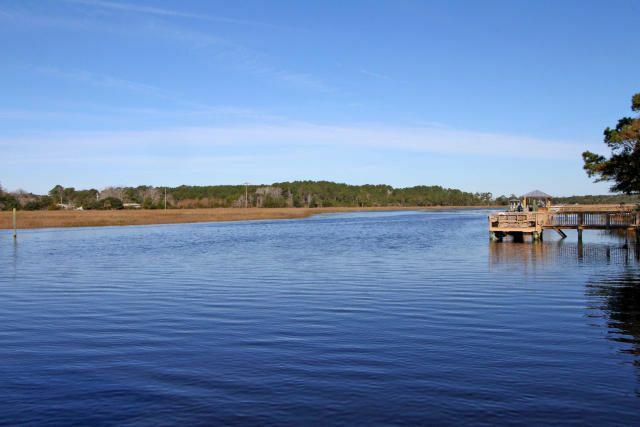 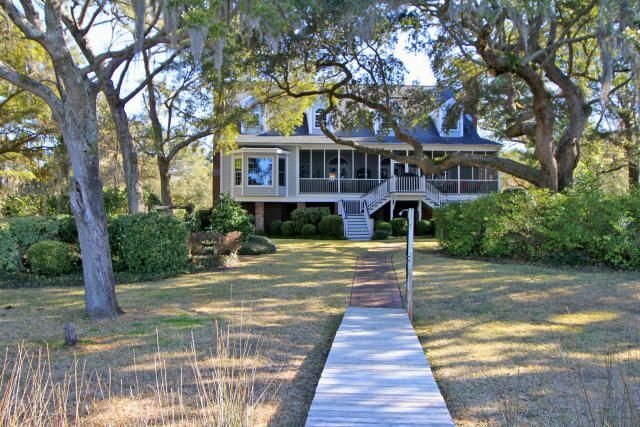 Meticulously maintained grounds and stunning home along with a short dock on the Wando River makes for the perfect lowcountry lifestyle! 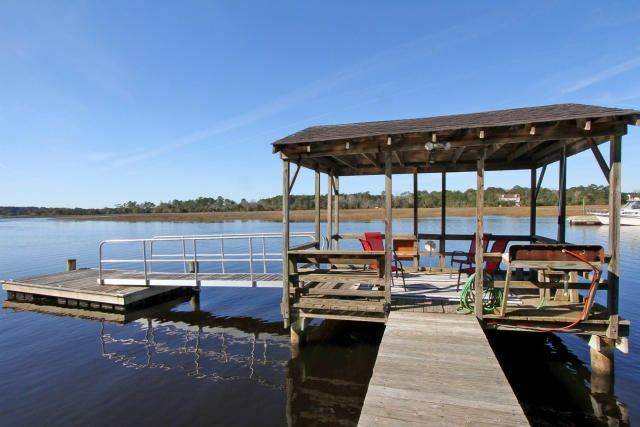 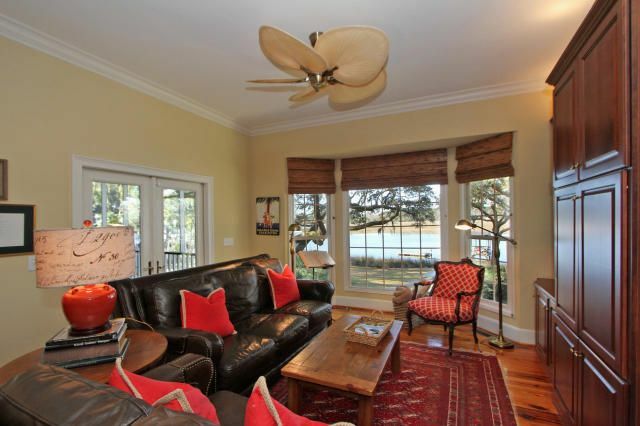 Upon entering the home, instantly you are in awe of the water vistas! 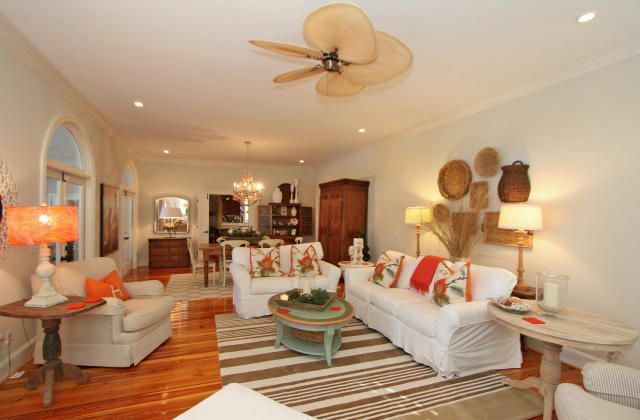 The open floor plan and graciously sized rooms make for the perfect family home and is also well suited for grand entertaining! 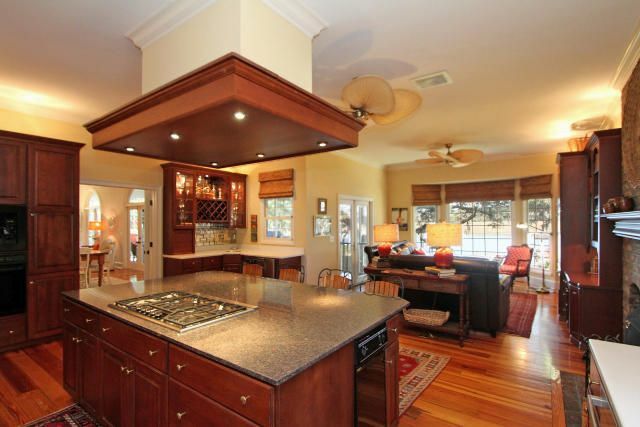 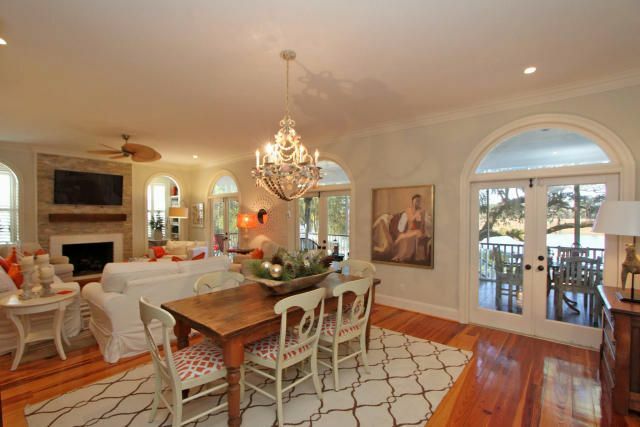 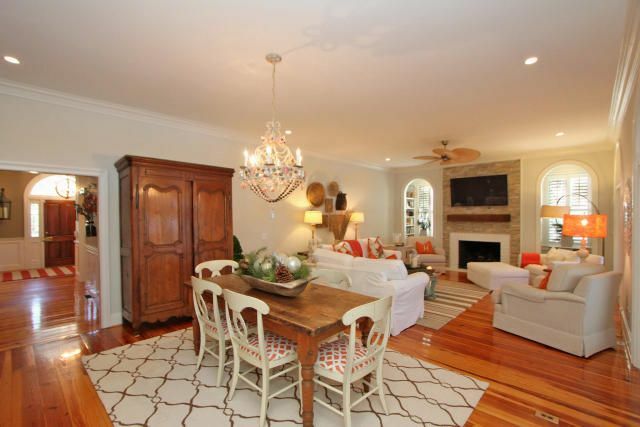 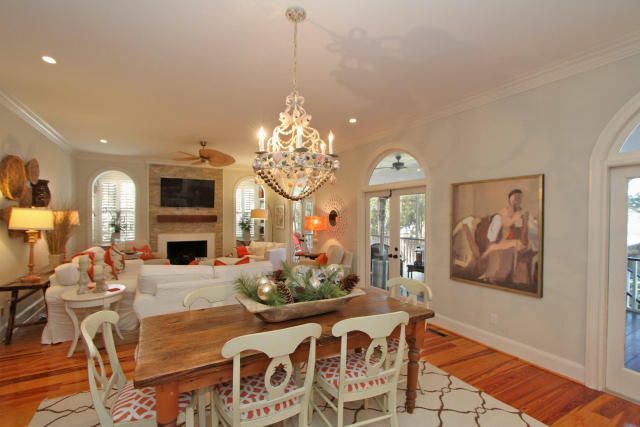 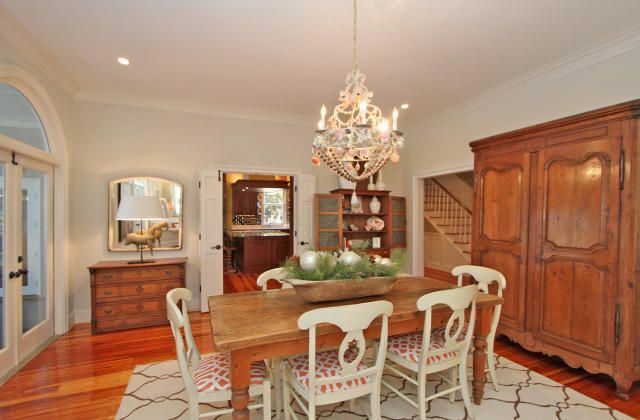 The waterfront kitchen and family rooms are absolutely dreamy. 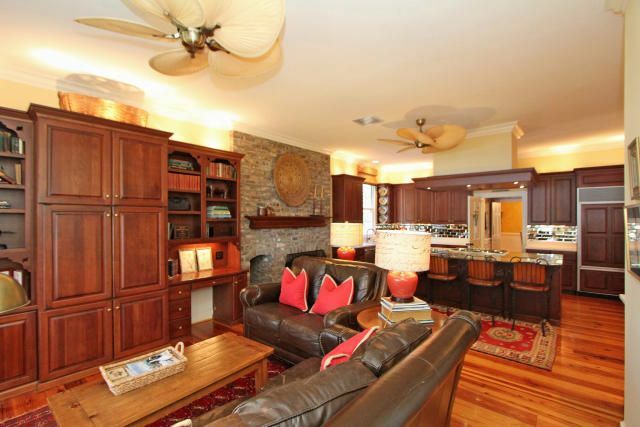 In this area, enjoy two fireplaces positioned at each end of the home, multiple family rooms and multiple eating areas. 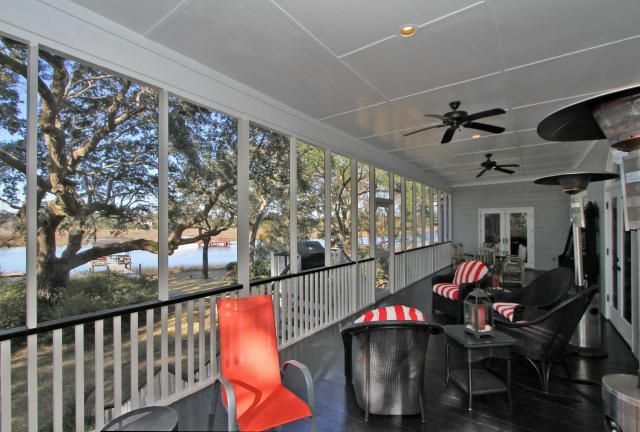 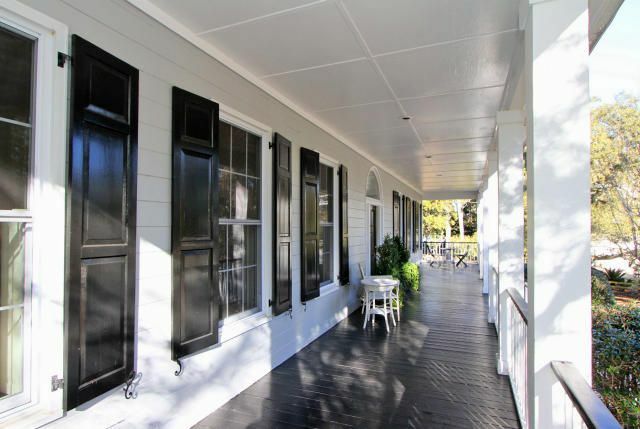 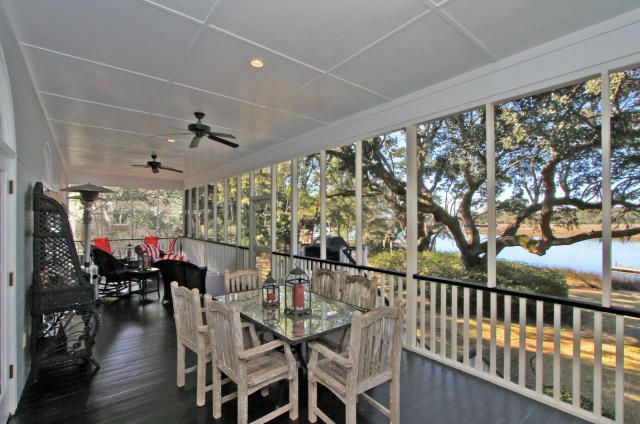 In addition, there is a wide full screened porch stretching across the back of the house separated by beautiful french doors. 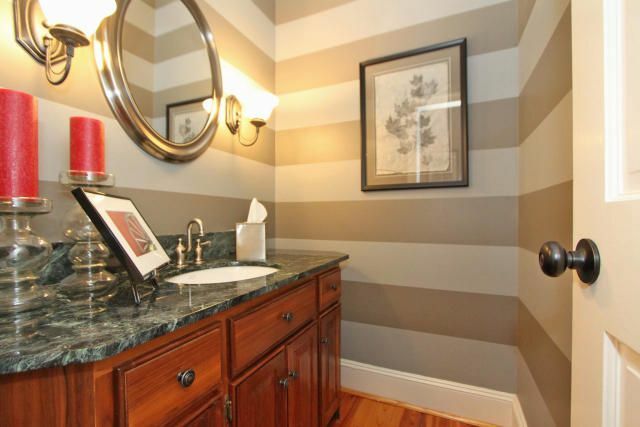 Truly remarkable! 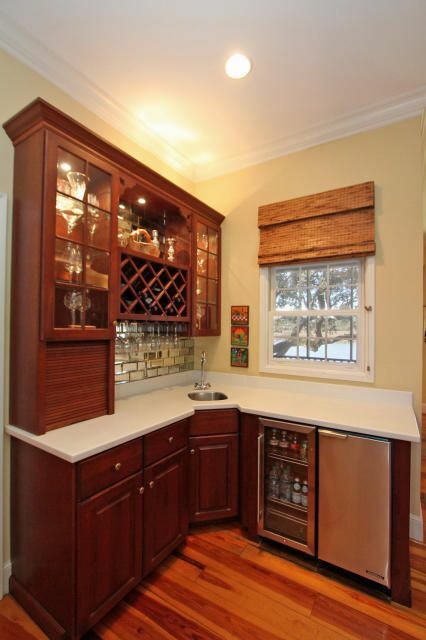 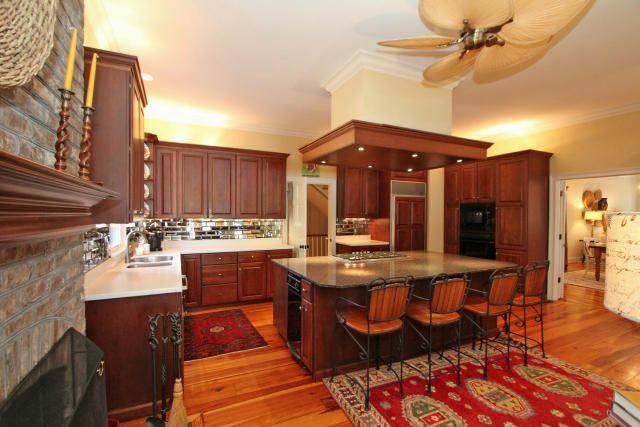 The kitchen boasts high end appliances with integrated custom cabinetry and an abundant amount of storage. 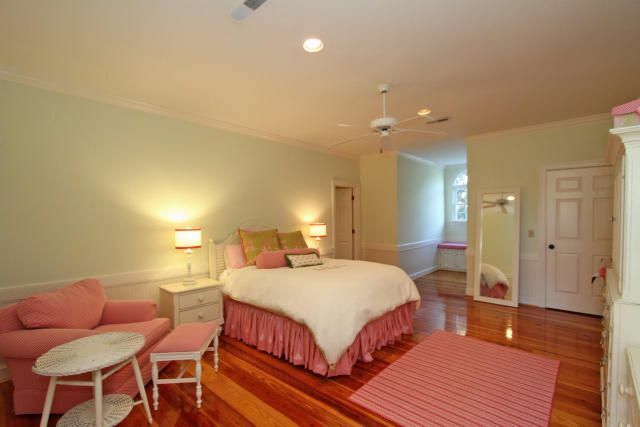 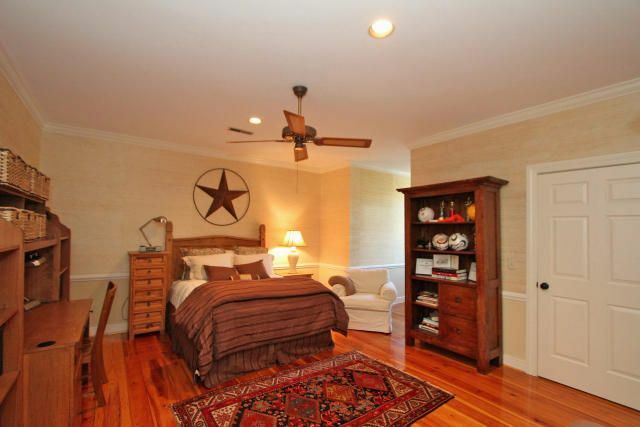 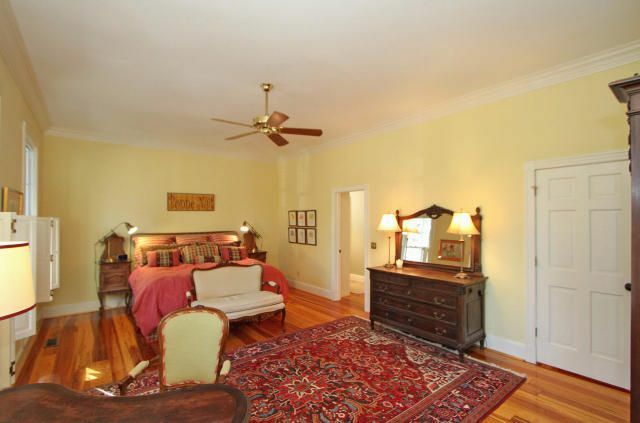 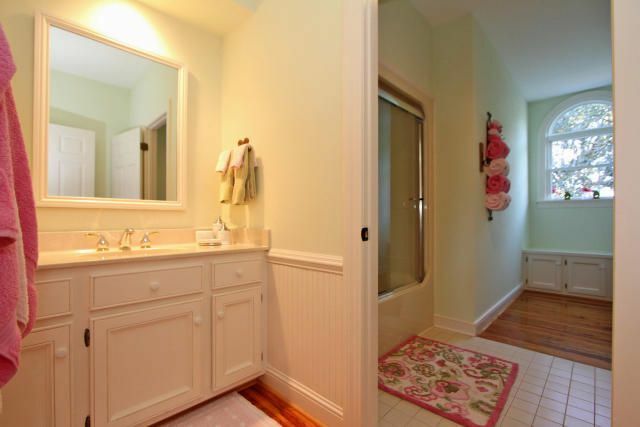 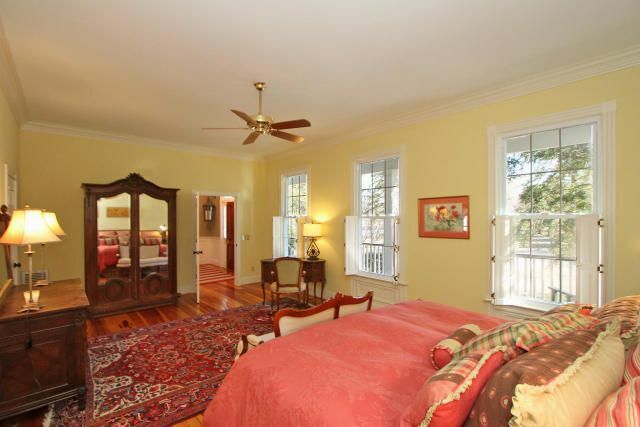 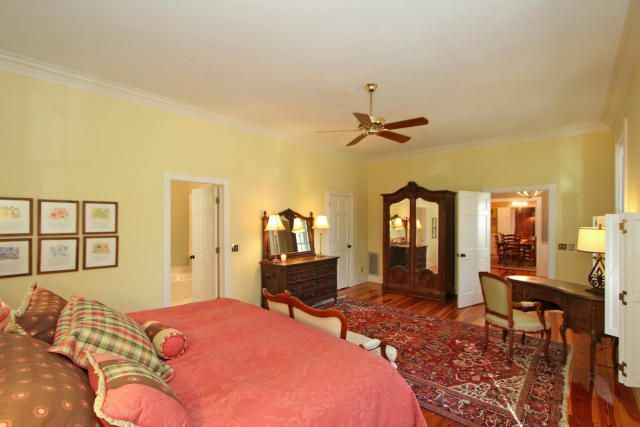 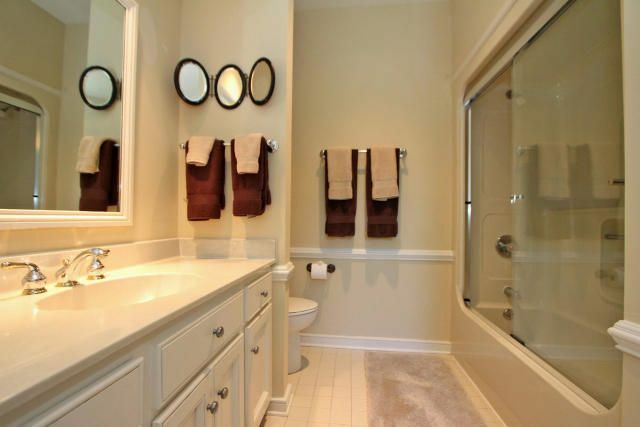 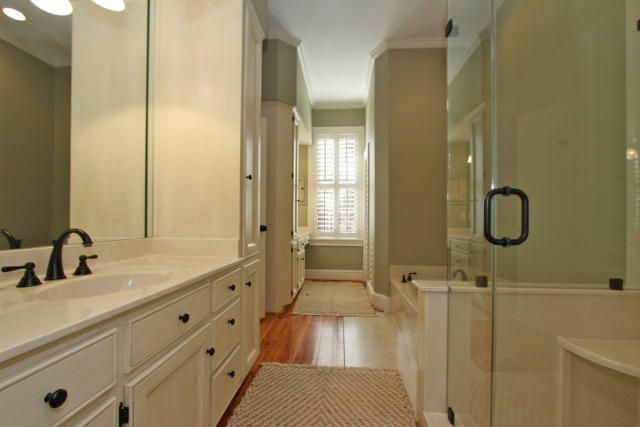 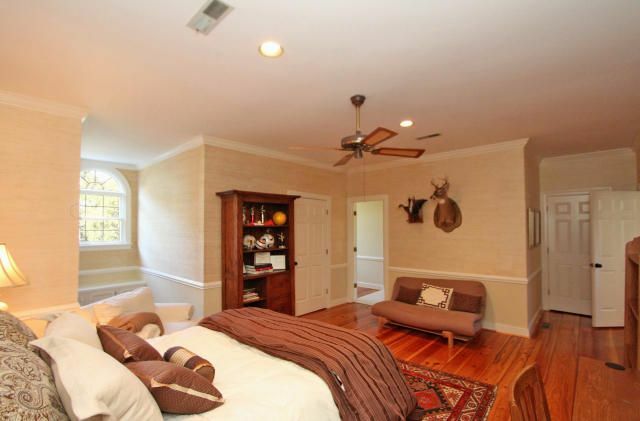 On the main floor, enjoy a lovely master bedroom retreat with enormous closet space and nicely updated bathroom. 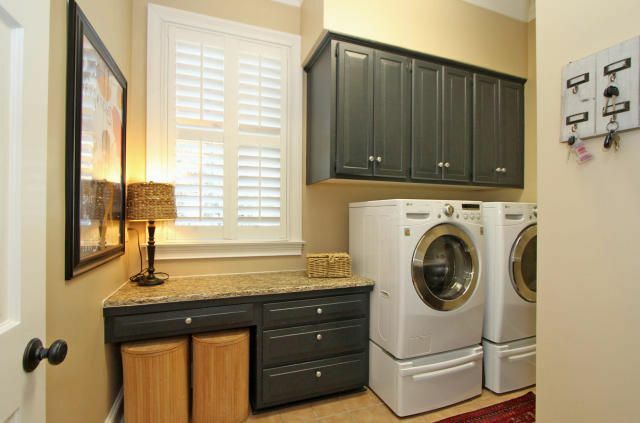 The large laundry room and separate dining room are on the main floor as well. 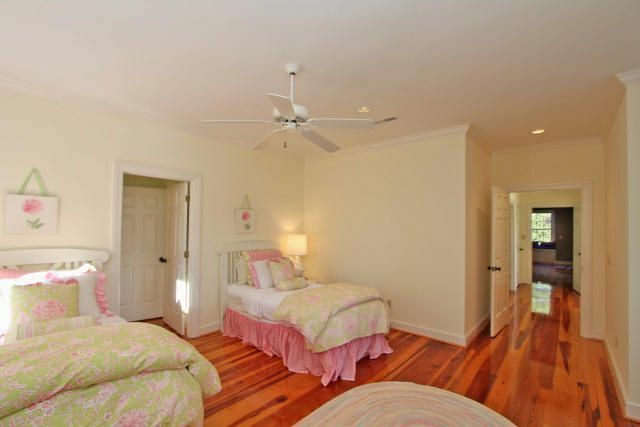 Upstairs are three generously sized bedrooms; one with it's own private bath while the other two share a jack and jill bathroom. 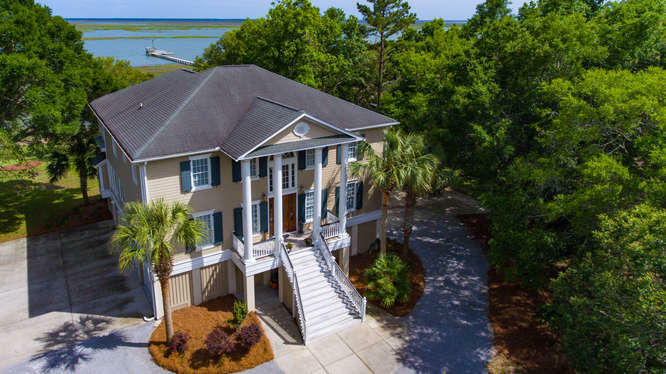 Other noteworthy features include beautiful and gleaming heart of pine flooring throughout, soaring ceilings, handsome trim package, full front and rear porches with amazing views, multiple fireplaces and garage space for 3 plus cars! 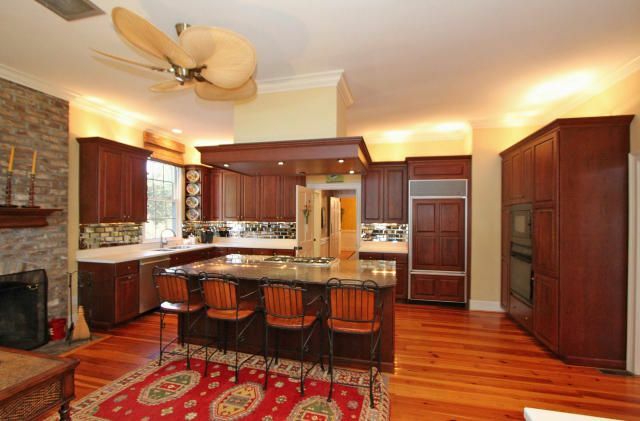 This property combines the best of estate-like privacy within a welcoming community of like minded neighbors.